I am James Nelson, a survivalist, outdoor and hunting enthusiast. I have dedicated my time to gather and sieve through information about hunting. You can check out huntingresearch.org to learn more about me and my goals. You definitely need good skills for hunting and not anyone can just hop on to the field and successfully harvest game. However, getting the right equipment is equally as important. Long range hunting requires specialized equipment. It is important to consider all the elements of a firearm when you choose your long range rifle. Average, mass produced sports rifles are not up to the task of long range hunting. They are too light to maintain a steady aim when there are strong winds and their barrels flex too much. When you look for a good long range rifle, you are looking for a heavy and stiff barrel. The barrel should be of high quality and typically heavier than most factory barrels. It should also be made of stainless steel. A good rifle also needs a good trigger. The trigger needs to be smooth and reliable. A good pull weight for a hunting rifle is 3 pounds but 2 pounds could be suitable for long range hunting. This enables precise shooting while maintaining a good feel of the trigger so that you are sure you have control of the rifle. Any lighter than 2 pounds can make the trigger difficult to control when you have cold fingers. The stock is also an important element of the rifle. Stock design can either make or break a long range hunting rifle. A good stock can enhance shooting accuracy through stability and recoil taming qualities. A long range stock will generally be bulkier and heavier than lightweight hunting options. This is so that a solid platform for shooting is provided. The Remington 700 Sendero SFII is great for setting up on big game at long ranges. It is available in 5 different calibers and comes with a 26 inch, heavy-contour and fluted stainless barrel. If you are on a budget, however, and looking for a rifle that can serve in many situations, including long range hunting, the Winchester XPR Hunting Rifle is a good choice to look into. Caliber selection is critical for hunting at long ranges. A long range hunter will need a cartridge that provides sufficient energy and speed to travel at a long distance. When selecting a good calibre, it is important to look out for minimal recoil, aerodynamics, maximum accuracy and perfect striking energy. Low recoil is usually less than 8 foot pounds, medium recoil is from 9 to 12.5 foot pounds and heavy recoil is over 12.5 foot pounds. 6mm and 6.5mm cartridges are typically low-recoil, high-ballistic efficiency cartridges while 7mm offerings start to bring in more recoil. The shape of the bullet is also important because certain bullet shapes perform better at a long range with a more aerodynamic shape. BC that stands for Ballistic Coefficient is all about the shape of the bullet. Each bullet has a BC number and you can find this on your box of ammo. Use the BC number to calculate the trajectory of your shots. The best long range loads use heavier bullets with higher BC. The 308 Winchester is nice and powerful, allowing you to easily shoot a target over a thousand yards. The 300 Winchester Magnum, on the other hand, is more effective at 500 yards and a little beyond. It provides a great compromise between power, recoil management and range without really damaging game. It is a great starting point for long range hunting as it is affordable and has plenty of high quality rifles chambered in it. A rangefinder is a device that sends out a laser beam to bounce off your target back to you when you press the button. It will then read the measurement internally and provide you accurate distance between you and your target. Obtaining a quality rangefinder is an integral part of a successful long range hunt and an absolute must. This is because knowing the exact distance to your target is a necessity for long range hunting. Without this data, shooting at long range accurately is basically impossible. Getting a good rangefinder gives you the confidence to make an accurate shot even at a great distance. You can identify exactly how far away your target is, allowing you to take a sure shot. This increases your chances of hunting down your target because the battle of the mind has already been won. 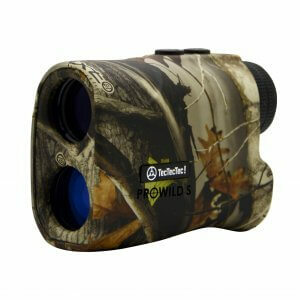 The ProWild 2 hunting rangefinder is a recommendable rangefinder for long range hunting. It is the newest innovation of famous brand TecTecTec in the marketplace and it does not disappoint! It comes with everything you need, featuring a shock-resistant case, complimentary CR2 battery, a wrist strap and microfiber cleaning cloth. It has a +/- 0.3 yard measurement capability and accurate readings up to a 540-yard range. It is also reasonably priced. There are dozens of scopes out there dedicated to long range shooting. However, long range shooting and long range hunting are different. Long range shooting can range out to thousand yards while long range hunting is below that range. This is good news because you do not need to spend thousands of dollars for a good scope. A good optic is necessary to provides images with the clarity you need to make a good gauge of the target and its specific details. This allows you to locate your target from far distances where you may not with your naked eye. You simply need to adjust your line of sight to have a clear shot at the target. You can also use this as a tool to identify the species and size of game. In looking for a good optic, you will want to get a high quality one. This is so that the images produced are clear, allowing great detail to be observed. This means that it should be cable of absorbing sufficient light, so that the images produced are bright even in low light. You should also ensure your scope has the ability to retain the adjustment after a shooting session, the ability to “maintain zero”. If we lose the zero, we lose the ability to correctly set the adjustment of the scope. This is important in long range hunting because you do not have sighting shots like in standard long range matches. High-end scopes are usually capable of maintaining zero but lower priced ones may face uncertainty. An example of a good hunting scope is the Leupold Mark AR Model. It has a variety of magnifications with 6 to 8 power that is completely sufficient for long range hunting. This optic is high in quality and produces crystal clear images. For taking a long range shot, you will need to rest your rifle on top of something. Hence, hunters invest in a shooting rest. This will help to stabilize your gun and avoid shaking hands, thus improving accuracy when firing. It can also reduce the amount of recoil when you pull the trigger. Many hunters choose to use a fold up bipod as compared to a monopod or tripod. This is because it is easier to set up than a tripod while more stable than a monopod. Alternatively, sandbag rests can be used. However, it must be firm and solid. Skill really matters when it comes to long range hunting. A long range hunter is said to require the skill and training similar to that of military snipers. This is because a simple mistake can cause you major problems. A flinch can move a bullet as much as ten inches or result in a wounded animal instead of a dead one. A trigger pull at a slightly off angle can turn what would be a lethal shot at 300 yards into an all-day tracking job at 600 yards. Long range shooting is like juggling because you have many things going on at once and you have to balance them all. During the process, it is important to get into a comfortable position and relax. You do not want to let panic cause you to leave out anything. Make sure your rifle is pointing naturally towards the target and that crosshairs are in the right position. If you need to realign the rifle, move your whole body starting with the legs rather than twisting your torso. You need to be in line with the scope and rifle as well. Make sure that the retile inside the scope is perfectly horizontal. When looking through the scope, do not take the shot unless your view is completely clear. Any shadow or tunnel effect can cause parallax error and through your shot off. When you squeeze the trigger, you should use the centre of the pad of your index finger. Your fingernail should be parallel to the trigger guard. Make sure you do not blink or flinch when you squeeze the trigger because it can have a huge impact on hitting the target. In order to minimize the effect of recoil, you should place your cheek firmly engaging the stock with your head placed upright when you look through the sight. Many people have spent thousands on new gears and rifles when the problem was in fact their fundamentals. If you find yourself in a situation with a 1 MOA rifle set up with good quality optics and ammunition yet have issues getting 1 MOA out of it, the problem is likely not your equipment. Try starting at ranges of about 100 yards and learning to be consistent where the wind will have little effect. Once you have mastered it, go to 200 and keep upping the distance. The ability to shoot consistently at a short range will be the first step to getting long range success. If you still cannot quite get the adequate accuracy, seek help from an experienced long range shooter to help you set up your rifle. The official publication of the Utah Golf Association, Fairways 18 has included the ULT-X in a round up of 2018 product reviews. Read the review and the rest of the magazine HERE. Men’s Guide has chosen the VPRO500 as one of its top picks for golf rangefinders intended for seasoned golfers. I am John Lewis, a blogger, survivalist and outdoor enthusiast. You can follow me over at Epic Wilderness by clicking here. As a hunter, rangefinders are one of the more complex devices which you will own. This means that you need to put in more effort in your research for the best rangefinder for you. There are so many reasons why you need a rangefinder and this includes allowing you to better understand your surroundings and improving your accuracy. By utilizing a rangefinder, you can get immediate feedback on the shots you made which allows you to find out why you missed a shot or help you identify factors for accurate shooting. Do keep in mind that there are many other items you may need to improve your accuracy, especially for hunting. For a golfer, you would not need to get out of the green just to know where your ball land! This immediate feedback mechanism is one of the main reasons why I think this tool is really useful. Almost all laser rangefinders work by applying the same concept, with little twerks here and there. They would emit laser beams where it would bounce off the surface of your target, and the high-speed clock in the rangefinder would calculate the total amount of time taken for the beam shot to leave your gear and return back to your unit. The beam would travel in the speed of light; hence, a simple time measurement method can be used to measure the distance travelled by the beam. By understanding this, it also shows that there are many factors which can potentially interfere with the reading. Anything in between your unit and your target can affect it, be it heat waves or even the reflective properties of your target. Also, the discussion below would be a general discussion on rangefinders, where I would state the distinction between a hunting rangefinder and a golfing rangefinder if I find it is appropriate. The important aspects are summed up below. Rangefinder often come in two modes, namely the First Priority Mode and the Second Priority Mode. It is this aspect which makes the distinction between hunting rangefinders and golfing rangefinders. For the First Priority Mode, this mode is ideal if you are ranging in a situation where there are no obstacles between you and your intended target which is more suitable for golfing. As for Second Priority Mode, it is made for situations where your view is momentarily obstructed by different things, and the range is not just based on the first thing your beam touches. This is more suitable for hunting because you may meet many obstacles when you hunt. Rangefinders are great for you to bring along because they are lightweight and small in size. Also, most rangefinders are durable. However, because rangefinders come in different sizes and weight, it would be pertinent to discuss this aspect as well. When you are looking for a rangefinder, keep in mind that you may need to hold it for a long period of time, depending on how long you plan to hunt. Also, make sure that it is convenient for you to hold it with one hand because there may be situations where you need to spot your game while aiming. 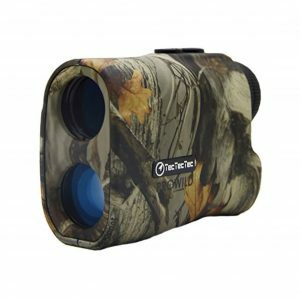 By taking into considerations of your hunting practices, you can reflect on this aspect and find a suitable rangefinder. The reticle display of your rangefinder is important because it determines whether you can see in different conditions. You may want to find a reasonable reticle, where it can withstand the glaring sun or allow you to aim even in the night. Hence, a reticle is important for you to “aim” your target. Usually, you can choose between LCD or LED reticle displays. For LCDs, it would be harder for you to aim at objects which has a dark-colored surface, or the object is in a badly lit background. If you like to hunt in low light conditions, a rangefinder with a LED is ideal because it would be difficult to distinguish between different objects with an LCD in a low light condition. LEDs are different because they are usually lit up, but some of them may not withstand a glare or bad lighting. One option to have the best of both worlds would be getting adjustable, backlit LCD displays. You would be flexible and be capable of ranging in most situations. This is one important aspect for rangefinders, if you would like your beam to reach a far target. Basically, the further the target, it would be better for the beam to have a greater dispersion rather than it being focused. Keep in mind, that there are pros and cons relating to it. If there is a smaller beam divergence, you can get a greater level of ranging precision. This would affect the maximum range as well, determining how well your rangefinder can accurately measure the distance of your target although it is relatively far away. The maximum range would usually be stated by the manufacturer, but it is usually for situations where the target has a highly reflective surface and there are almost no obstructions between the unit and your target. After choosing the best rangefinder, it is time you start learning how to use it! Some common mistakes you may want to look out for include the possibility of focusing on a wrong target because after a certain power of magnification, the laser beam from your unit may be pointed elsewhere. Also, ensure that there are minimal blockages when you are ranging so that there is minimal interference with the reading. Also, it would be wise for you to invest in a good carrying case. Do not underestimate the importance of optic care because a rangefinder is a rather delicate gadget! If you have any ideas you want to share, please comment below! How Do I Use a Golf Laser Rangefinder, Anyhow? Looking to drop some strokes by filling your golf bag with new gear? Laser rangefinders are an excellent way to elevate your game with just the press of a button, and TecTecTec is here to show you how. Whether you’re measuring distance to the pin, a tree or hazard, knowing accurate yardages is a key factor when choosing clubs and hitting shots. With this useful data at your fingertips, you will gain confidence in club selection and vastly improve your on-course performance. First – what the heck is this thing? Depending on the model, your new golf laser rangefinder can measure up to 540, 600, or 1,000 yards away. It has an eyepiece with adjustable viewfinder to focus and sharpen your view and comes with a CR2 3V lithium battery, wrist strap and shock-resistant carrying case with cord toggle for protective, easy access during your round. Each TecTecTec golf laser rangefinder operates in a few different modes: Normal, Scan, Pinsensor and Pinslope. A brief breakdown on what these are and when to use them can be found below. When to use it: Use the default normal mode when you want to quickly measure the distance of an object with not much else in the background. How to use it: Simply look through the eyepiece and aim the rangefinder’s crosshairs at the object you need to calculate the distance to. Hold the rangefinder steady and briefly press the power button on top one time. The display screen will read the distance of your targeted object in yards or meters. When to use it: Use Scan mode when you’re measuring the distance to an object when you’re looking for a comprehensive understanding of multiple distances on the course. How to use it: Press and hold the power button for 8 seconds while sweeping the rangefinder from Object A to Object B and so on. The display screen will read continuous distance measurements. When to use it: Pinsensor Mode measures overlapping targets to calculate the distance to a flagstick on a green that has a wooded area in the background. This mode senses the pin (flagstick). How to use it: Look through the eyepiece and focus the rangefinder on an object behind the flagstick. Press and hold the power button and slowly sweep the rangefinder over the flagstick. The rangefinder will then lock in the nearest target – in this case, the flagstick – and the display screen will read the distance. This mode eliminates the possibility of falsely measuring the distance of an object behindthe pin. When to use it: Pinslope mode is available in all TecTecTec golf laser rangefinder models that end with “S” for slope. Pinslope is similar to Pinsensor, but will alsoread out angle-compensated distance, or elevation, in addition to the direct distance. This comes in handy when you are hitting an approach shot into an elevated or depressed green, as the displayed yardage compensates for the elevation change and lets the user know to adjust his or her club selection accordingly. How to use it: Use the rangefinder as you would for Pinsensor mode, but pay attention to the display screen for additional data to help gain confidence in your shot! Don’t forget to watch our How-To instructional video with step by step instructions for using your new TecTecTec golf laser rangefinder! Still looking for incentives to buy online from TecTecTec? Read our previous poston 5 Reasons Why You Should Buy Direct From TecTecTec. TecTecTec’s golf laser rangefinders are online best-sellers for a reason: our dedication to creating high-quality products at an affordable price. 1. Get exclusive training tips and in-depth instructions. 2. Receive a comprehensive two-year warranty. TecTecTec stands behind a guaranteed one-year warranty and a free, automatic one-year warranty extension, but only though our website. Our fans deserve a quality product that they can trust. This offer is not available anywhere else online. 3. Fast, friendly and easy-to-reach customer service. Reach out to our lifetime customer support center any time through our contact form and a service representative will assist you within 24 hours of submission. Or, give us a call Monday-Friday from 8:00 AM – 2:00 PM ET at (833) 383-2669. Our team welcomes all questions and comments. We are dedicated to helping you get the most out of your new rangefinder. 4. Love it or your money back, guaranteed. If you have any issues whatsoever, tell us! We want our customers to love their rangefinder. While our customer support team is committed to helping you answer any question you may have, if something is not right, we offer a 100% guaranteed full refund within 30 days of purchase. We stand behind the quality of our products and ‘just okay’ is not acceptable. If you’re not satisfied, we’re not satisfied! 5. Unbeatable prices – period. VPRO500 and VPRO500S: Our most popular product – get all the benefits of a top-end rangefinder without the steep price. Offered in slope and non-slope models. VPRO DLX and VPRO DLXS: Extending the range up to 600 yards, the DLX comes in multiple colors including black, red, silver and white. Offered in slope and non-slope models. VPRODLX 1K and VPRODLX 1KS: With up to 1,000 yards of coverage, the 1K is our premium model. Available in black, red, silver and white, with slope and non-slope models. All our customers receive free shipping and fast delivery with every purchase. So, what are you waiting for? Check out our full lineup of products today! So next time you tee it up, you are prepared for any situation you face. Our world-class rangefinders now have their very own tutorial video. Take a look and see the most efficient way to use your unit in the field. Still have questions? Please feel free to reach out to us at any time here. The holiday season is here. Are you ready? We can help you get prepared. For the golfers in your life, TecTecTec rangefinders should be at the top of the heap. Sure, we are biased, but we aren’t the only ones saying that the VPRO500 is the best choice this holiday season for your golf-crazed friends and family. Now is the best opportunity to score a top deal on golf gifts here at TecTecTec. We’re getting in the holiday spirit with our upcoming sales (check the us.tectectec.com homepage for details). But to assist your whole list, we’ve put together a comprehensive 2017 guide of the top gifts for golfers. Check it out. Offering incredible performance at an unbeatable price, the VPRO500 laser rangefinder measures up to 540 yards and is accurate within one yard. The premium, multilayered optical lens combined with diopter adjustment and 6x magnification provide an ultra-clear and accurate view. It is incredibly lightweight (0.41 lbs), rainproof and features three scanning modes to adapt for every situation – Pinseeker Mode, First Target Priority, and Continuous Scan Mode. The VPRO500 is available in standard and “S” editions ($179.99) featuring PinSlope Technology to calculate elevation-adjusted distance to target. Free with purchase is a shock-resistant carrying case, CR2 battery, wrist strap, microfiber cleaning cloth and quick start guide. All TecTecTec rangefinders are backed by a two-year warranty, 24/7 access to customer service and a full refund on products returned within 30 days of purchase. Does your golfer already have the VPRO500? Great! Here is the perfect golf gift to outfit their rangefinder. The TecTecTec Silicone Case is custom fit for the VPRO500 and VPRO500 S. It offers improved grip and visibility, ensuring that golfers will get the perfect distance, every time. The ultimate golf gift: Arccos Golf’s exclusive Holiday Bundle combines the game-improving power of Arccos 360, golf’s No. 1 performance tracking system, with a one-year subscription to Arccos Caddie, the game’s first artificial intelligence platform. Includes free shipping. The 2017 Golf Digest Editor’s Choice Award winner for “Best Game Analyzer,” Arccos 360 automatically records and analyzes every shot you hit. It features 14 sensors and combines Live Shot Tracking, GPS 2.0 and Tour Analytics to help any player make smarter decisions to shoot lower scores and have more fun. Users with at least five rounds completed can access Arccos Caddie, using data from Arccos users as well as GPS information to provide users with suggestions for their optimal strategy on nearly any hole in the world. It also provides incredibly accurate GPS distances to any point on the hole and even calculates a “Plays Like” yardage that takes into account the impact wind and elevation. The future of golf has arrived. This training aid is designed to simulate the conditions of putting into a real hole on the green with its parabolic curved design. Each successful putt is returned the same distance it would have gone past the hole if it had missed. It’s the perfect golf gift to sharpen your skills on the green. No company on earth has helped more golfers improve than GOLFTEC. They teach approximately 1 million lessons annually around the world with the average student dropping seven strokes from their game. The company has locations in every major metropolitan area in the United States and nearly 200 around the world. For the holiday season, the company offers a variety of game plans and lessons packs. GOLFTEC provides comprehensive instruction on all aspects of the game as well as comprehensive club fitting services. Proven to benefit players of all skill levels, GOLFTEC works with each individual to create a plan tailored to their specific needs. The company pioneered a step-by-step approach that builds skills faster and provides lasting results. It is a convenient and effective golf gift for every game-improvement need. The same balls that Tiger uses can be a golf gift from you. Designed utilizing data from more than 3 million ball fitting sessions, the TOUR B line features the TOUR B X, XS, RX and RXS. TOUR B X and XS are designed for low handicap golfers looking for exceptional feel. A softer urethane cover formulation provides excellent spin and greenside control, while increased distance comes from enhanced aerodynamics and improved 330 Dual Dimple design. The RX and RXS are for mid-to-low handicappers, delivering explosive distance and optimized trajectory thanks to high repulsion construction and new 338 modified Dual Dimple design. The RX will help players hit more fairways while those looking for unmatched feel will gravitate toward the RXS. A gift card from GlobalGolf.com is guaranteed to deliver a happy and merry holiday season for the golf enthusiast on your list. Featuring equipment and apparel from golf’s most popular brands at affordable prices for the entire family, there’s no better place to buy, sell or trade golf clubs than at GlobalGolf.com. Through December 31, equipment trade-ins via the affiliated PGA Value Guide (valueguide.pga.com) earn up to 30% extra value.